[July 06, 2014] “Honest Abe” is the most well known leaders in the United States and around the world. Abraham Lincoln was in office during the U.S. Civil War where he was able to keep the nation together. He was the reason that America did not break into two separate nations and he was the key to ending slavery in America. Lincoln served during a time when the United States was in its greatest peril.1 Nothing today can compare to the events of 1861 to 1865. The country was experiencing its bloodiest war and greatest moral and constitutional crisis: abolishing slavery, modernizing the economy, and strengthening the federal government. He succeeded beyond the imagination of anyone. 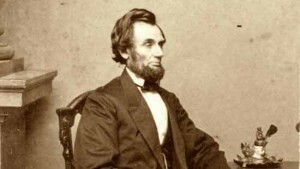 Lincoln’s successes can be, of course, attributed to his character. Lincoln had to overcome tremendous adversity in his life. This certainly contributed to his leadership capabilities. Those capabilities were further honed in political settings and debates. His resilience is the core of his other senior leadership characteristics and the reason why he was so successful as President of the United States during its darkest time.